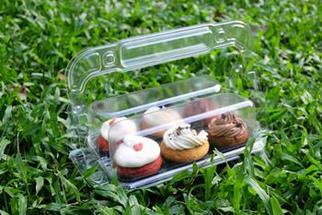 The exclusive design with cat shape handle is especially for bakery foods, dessert, handmade cookies...etc. 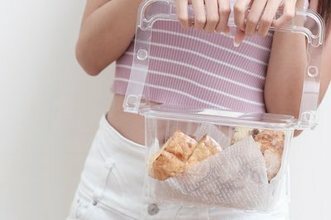 You do not need another plastic bag or paper bag. 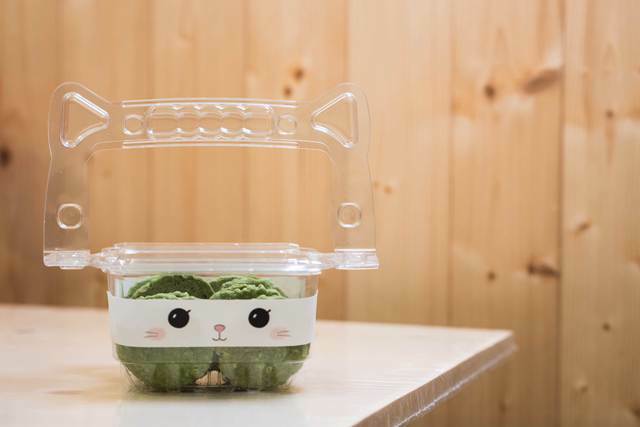 This is the best gift packaging to attract customers. 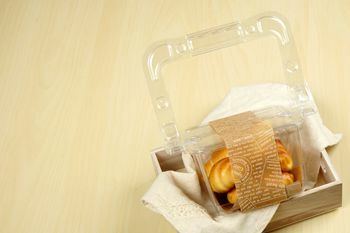 The one piece formed hinged structure is strong and it can also avoid the problem of lid dropping happened with normal packaging boxes. We adopt best PET plastic material for food container grade to assure the clearance and safety of GRIP B packaging box with handle. GRIP B add the foldable handle design in the structure of packaging box with handle. And you can fold to stack your products when you need to stack more pieces. 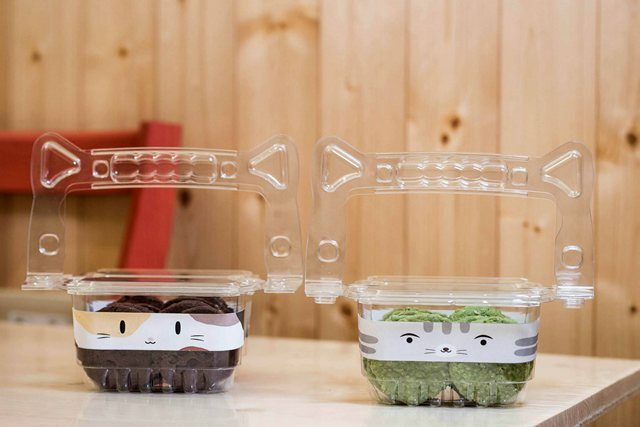 GRIP B cat shape packaging box is a whole new concept disposable food container. Please feel free to ask us if you have any question. If you are interested in this GRIP B Cat shape packaging box with handle, please kindly contact us and we will provide more information of our distribution channel to you. We also have other kind of models with handle, please click the button to get more information. The Models You Might Be Interested in.